You could make the argument that the value of the wide receiver is slowly eroding despite a consistent tier that finds themselves atop the rankings year after year. Why this argument? Only 9 of the top 20 non-quarterback spots belonged to wide receivers in 2017, down from 11 a year ago. The drop happens as running backs continue their surge of value with current projections having three, and in some cases, even four backs taken before the first wide receiver in 2018 drafts. Consistency is the name of the game when it comes to how the rankings shake out as 11 of the top 15 finished in the Top 15 in consistency a season ago among all wide receivers. The question that remains heading into 2018 is the adversity and rebound performances many of these names will put on display as the season kicks off, whether it be new coaching systems, return from season-ending injuries or new uniforms. 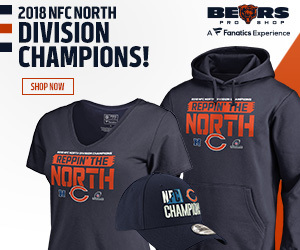 While there’s plenty of those three categories to go around this season, let’s jump right into it! It’s Antonio Brown’s world and we are all living in it. Once again, AB finds himself as the top option among all wide receivers in 2018. A PPR monster, Brown has finished in the top three at the position each of the last four seasons, even with missing the last 1 ¾ games last season during the fantasy season. Fully healthy with Big Ben once again throwing him what’s bound to be another 150+ targets. The toss-up between OBJ and Hopkins comes down to the echoing theme of consistency. Few remember the Texans All-Pro wideout only put up 119 fantasy points in 2016 before putting up a healthy 213 points. The health of Deshaun Watson concerns me behind that offensive line, but if all goes smoothly, there’s no question Hopkins can find himself atop the rankings altogether at season’s end. Adams and Allen have the best chance to vault further up the rankings when looking at the top tier. Adams is bound to thrive with a fully-healthy Aaron Rodgers and we have all seen the impact Keenan Allen can have when not experiencing freak injuries. The Chargers experienced a significant increase in production when targeting Allen early on in games, and they would be smart to feed their WR1 the ball more moving forward. Lastly, it took a lot for Mike Evans not to be moved further down the board. Losing Jameis Winston for the first three games of 2018 is going to be a difficult start for the former Aggie. Already an inconsistent fantasy asset, he is the definition of risk-reward at the position. I’m sure fewer people are happy that Andrew Luck is making his return this season than Hilton. For the first time since 2012, Hilton posted less than 1,000 receiving yards and 69 receptions. On the verge of his 29th birthday, he is due for a bounce back season under Frank Reich’s system. The most interesting names in this batch happen to be two players who now find themselves as teammates: Brandin Cooks and Robert Woods. The Rams’ offense is going to be all about speed in 2018, and that’s coming off a year where they said goodbye to burner Sammy Watkins. I’m grouping them with a split of: 80 receptions, 1,200 yards and 7 touchdowns for Cooks; 70 receptions, 1,000 yards and 6 touchdowns for Woods. The leap in Sean McVay’s second year at the helm should once again make this team a force to be reckoned with. I’m buying as many shares of Chris Hogan as possible to kick off the season and then selling hard before Week 5 rolls around. Jordan Matthews seems to be getting a lot of the love this off-season with the Edelman suspension, but don’t forget about the rapport that Hogan had with Brady last year that vaulted plenty of fantasy teams to victories in 2017. The 2017 campaign of Will Fuller was one of the more bizarre of the season. Connecting immediately with Deshaun Watson, Fuller went on an absurd reception/touchdown ratio streak with one in every four catches going for a score. The durability of the third-year player is the only thing holding him back after missing 6 games with a broken collarbone and knee injury – but early OTA reports show him back to full health blowing by the Texans’ secondary. WR45 is where we see the appearance of our first rookie, Calvin Ridley. Atlanta now has two of the more explosive Alabama alums of the past decade, and Ridley should be able to carve out a respectable role with Taylor Gabriel leaving town. The main question mark that remains with the Falcons’ offense as a whole is can Steve Sarkisian avoid putting on another disastrous offensive display early in the season, if not, he could find himself out the door at the bye week if not earlier. The Jacksonville Jaguars had one of the more interesting seasons when it comes to their wide receivers. They let Allen Robinson and Allen Hurns walk, while signing Donte Moncrief to a one-year deal that basically amounts to a prove-it contract after his talent never blossomed in Indianapolis. Lee should be the Jaguar to own out of the group, but having your top option be this low in the list doesn’t really offer much in terms of fantasy productivity on an offense that will pound the rock with Leonard Fournette. There’s a lot of mouths to feed in Tampa, but Penn State product Chris Godwin is on my list of breakout players in 2018. While off to a slow start in his rookie season, he exploded down the stretch for 442 yards in the team’s last 8 games with an average of 9.54 yards per target. The focus is there for the second-year player and he could turn a lot of heads this season. Color us biased here at CCS, but watching the videos of Anthony Miller as he preps for his rookie season in a Bears’ uniform gets me real excited to see what the Memphis product can do. Specifically, it’s his confidence and footwork that have me most intrigued as key cog in Matt Nagy’s offense. I don’t think 50 catches and 600 yards is out of the question to go along with an All-Rookie selection. Mentioned earlier, Julian Edelman’s suspension is going to open the door for Jordan Matthews to show what he can do out of the slot. Now that he’s out of purgatory in Buffalo, J-Matt should see a bounce back in targets after plummeting from 117 in 2016 to 36 in 2017. Tom Brady will make sure the 5th year pro will get his opportunity, especially in those first four games of the season. It pains me to put James Washington this low on the list, but fighting with Antonio Brown and JuJu Smith-Schuster is going to make it difficult for the Oklahoma State product to make his mark right away. Be warned, Washington could become a major impact player a year from now if given the opportunity in the Pittsburgh offense. As for Dez Bryant…is he ever going to sign anywhere?